Apple has released a new HomePod 11.4.1 update. It’s available to download over the air, and we’ll show you how. Apple’s HomePod might not be strong on features but it does pack in powerful software under the hood that keeps things ticking nicely. Today, the Cupertino giant has released a new HomePod 11.4.1 firmware update for the Siri-toting smart speaker that improves general stability and fixes bugs, nothing else. If you were expecting this release to pack in new features, then you’d be mistaken at this point. It is best that you keep your attention fixated at the end of this year where we will see the final release of iOS 12 along with a wide array of software and hardware updates. 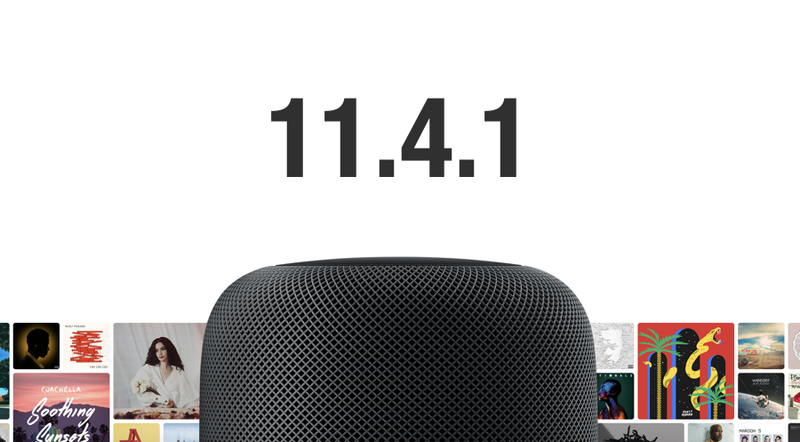 In order to download the new 11.4.1 update, you can follow the guide posted here: How to Install Apple HomePod Software Updates [Guide]. The short version on how to download the new update is this: go to the Home app, tap on the ‘location’ icon on the top left hand corner, select Software Update then select Install. It’s highly recommended that you download the update right away if you’ve been having issues with Apple’s speaker. Hopefully this release will fix everything up right away for the affected ones.